The Battle of Normandy: From June 6th 1944 till August 21st 1944: various tours adapted to your interests and time allowance. Normandy has many places with imposing vestiges of William the Conqueror’s influence, from his native town of Falaise to his capital town of Caen, where the massive fortress dominates the town and where you will visit the two beautiful Benedictine monasteries he founded with his wife Mathilda of Flanders. Then, a short drive to Bayeux to visit the splendid cathedral and the amazing Tapestry which recounts William’s conquest of England and the battle of Hastings on October 14th 1066. Monet’s house and gardens in Giverny. The Alabaster coast: From Dieppe to Etretat. Honfleur: A major town in the history of Impressionism. Boudin museum. The Normandy abbeys route will take you to the most prestigious architectural sites of breathtaking beauties and fascinating history: Norman abbeys, thousand year old foundations… some lie along the great pilgrimage routes and tourist itineraries, while others are located in the green folds of the countryside; some have remained homes to religious communities, whereas others have found a new vocation as museums or cultural centers. And so many more because if all are a little similar, each is immensely unique! 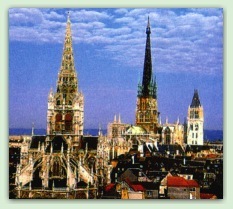 It would be a mistake to associate the city only with its famous « 24 Heures ». In penetrating to the heart of the Plantagenet city, you are turning the pages of a fascinating history book. Protected by a remarkable 3rd century Roman wall, the ancient city is a little jewel: with cobbled streets that are home to half-timbered houses and Renaissance hotels, it has been used in films such as « Cyrano de Bergerac » and « Le Bossu ». Here, you can let yourself dream of days gone by! 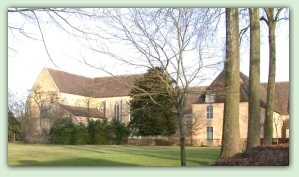 Founded by Queen Berengaria of Navarre in 1229, the abbey of “the Pitié Dieu de l’Epau” is one of the very last Cistercian foundations in France. 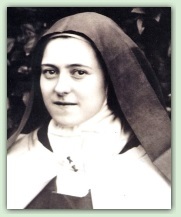 It is based on an architectural purity favoring meditation. 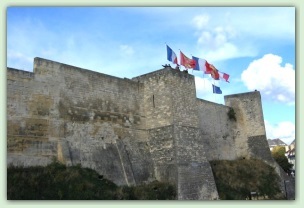 The sovereign “Dame of Le Mans” lies within these walls, close to the city of Le Mans, which she loved so much. 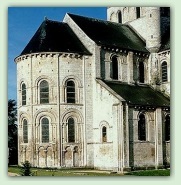 Her husband, Richard the Lion Heart is buried in the Royal abbey of Fontevraud. 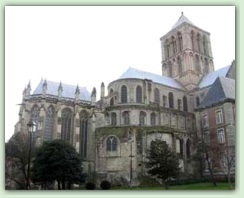 One can still admire the fine examples of Plantagenet architecture at the Saint-Maurice Cathedral, the Saint-Serge church or the old Saint-Jean’s hospital. Considered as one of the largest monastic cities in Europe, royal necropolis of the Plantagenêt, whose polychrome recumbant statues are resting in the Abbey’s Church, the Abbey of Fontevraud strikes as well for its size as for its originality. Founded in 1001 by a Breton hermit, Robert d’Arbrissel, Fontevraud was a double order, with nuns and monks. Directed by 36 abbesses, who were depending only on the Pope and the King, Fontevraud was, during seven centuries, a privileged witness of France’s History. 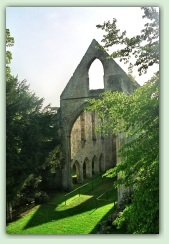 It was the most wealthy and powerful Abbey of France at the eve of the Revolution. 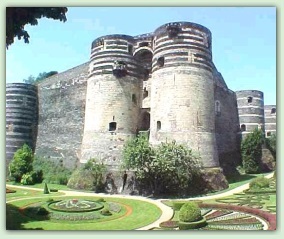 Napoléon transformed it into a prison, saving it from destruction. 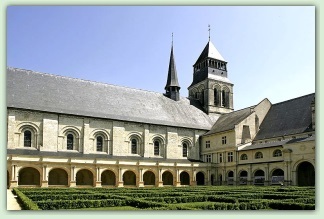 Fontevraud was inscribed as World Heritage in 2001 by UNESCO with the inscription of the Loire Valley. 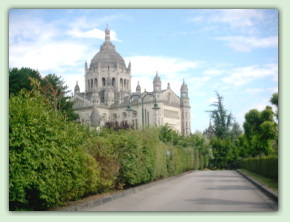 Cultural walking tours in Normandy and Brittany, following walking trails. Another way to discover the region, away from the crowds and the main roads… An average of 2 to 3 hours walking per day, on medium to easy walking trails. Should you be interested in this type of tourism, please contact me for suggestions of itineraries according to the time you wish to spend. All tours are made “à la carte” according to your wishes and interests whether it is your first discovery of Normandy or a new visit, it has to be memorable!